You are currently browsing the daily archive for July 25, 2008. Actually, I should call this “eight hours on the boro.” I took these shots in reverse chrono order from 8 pm yesterday til about 3. Would you believe I share these fotos because I wanted to convey the exhilaration of living time backwards? I think there’s a movie about getting younger. 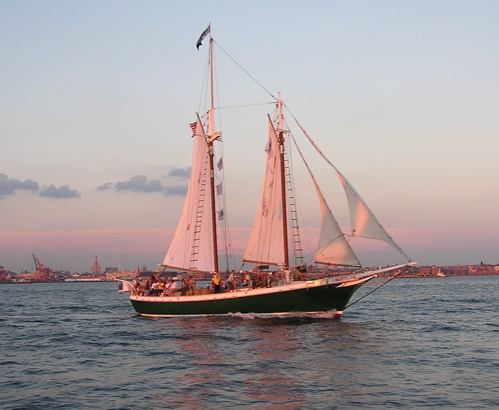 Schooner Liberty brings a new face to town. I’ll bet she’s younger than her appearance although I shouldn’t write this. 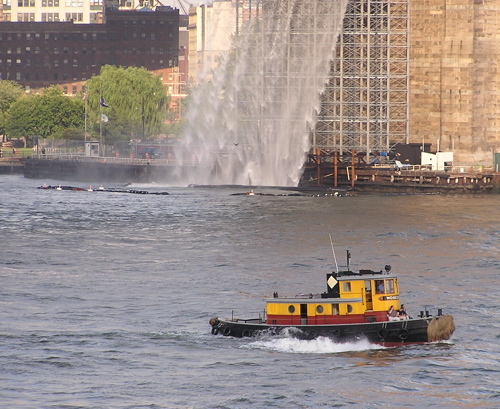 The northwest corner of the state has the Maid of the Mist; the sixth boro has W. O. Decker, a wooden hulled tug operating for South Street Seaport Museum. I probably shouldn’t say this either, but … imagine a foto of a vessel like Lincoln Sea with the helmsman looking DOWN onto Brooklyn Falls. 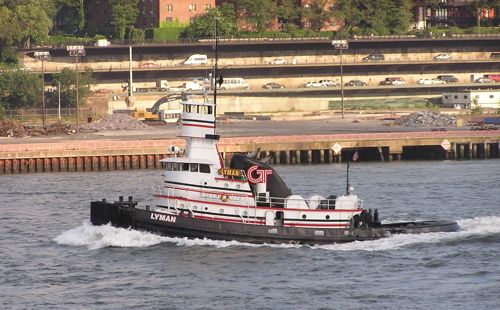 Lyman moves eastbound past waterfront previously occupied by warehouses. 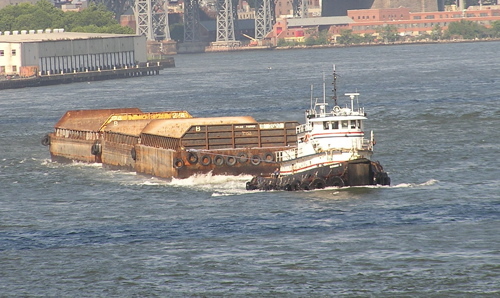 When a Buchanan tug with moves a string of barges like this, it travels through water and time crabwise. 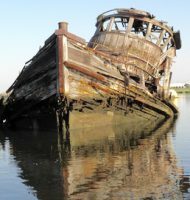 In Erie Basin, John, Franklin, and Stephen-Scott await orders–be they forward or backward. It’s now 3 pm Doris Moran moves northward into the Buttermilk Channel with the Statue still facing the space on the boro Doris occupied at 2:30. Tomorrow, Saturday July 26 is City of Water Day. Here’s a schedule. 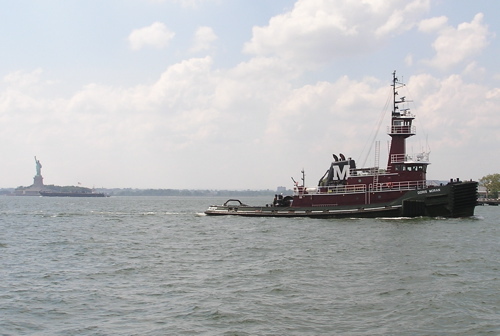 “City of water” is the term the MWA uses to describe what I’ve coined the phrase “sixth boro” to capture, aka New York harbor with all its related waterways. Enjoy it.